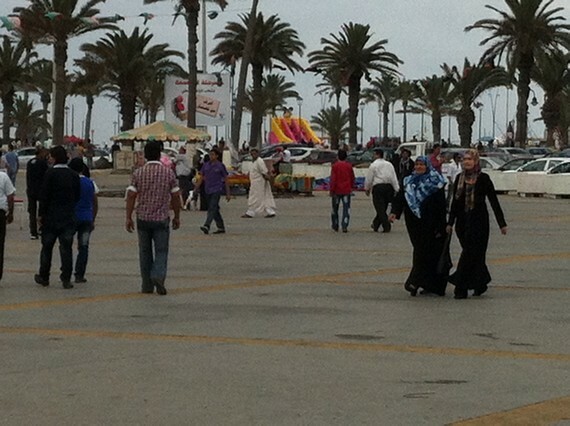 Martyr’s Square, Tripoli, Libya on a Friday afternoon. This is the area of the former “Green Square” where Qaddafi gave his hours-long crackpot speeches. It now has a carnival atmosphere on the weekends. Families are out, into the evening, and according to the informal interviews I did, most seem quite happy with the new political situation.